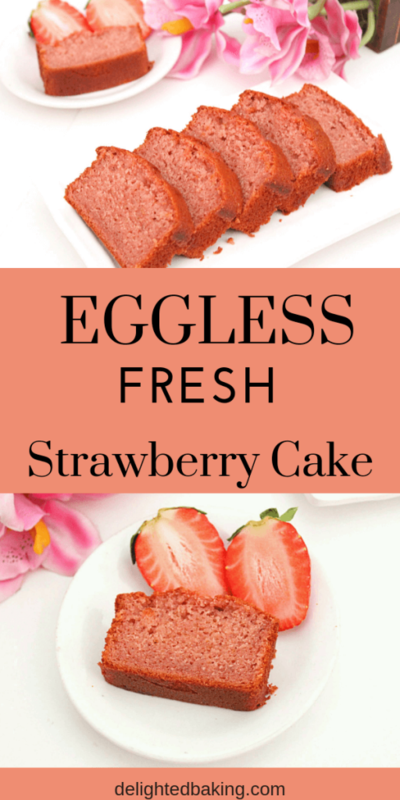 Eggless Strawberry Cake: An eggless strawberry cake with fresh strawberries. 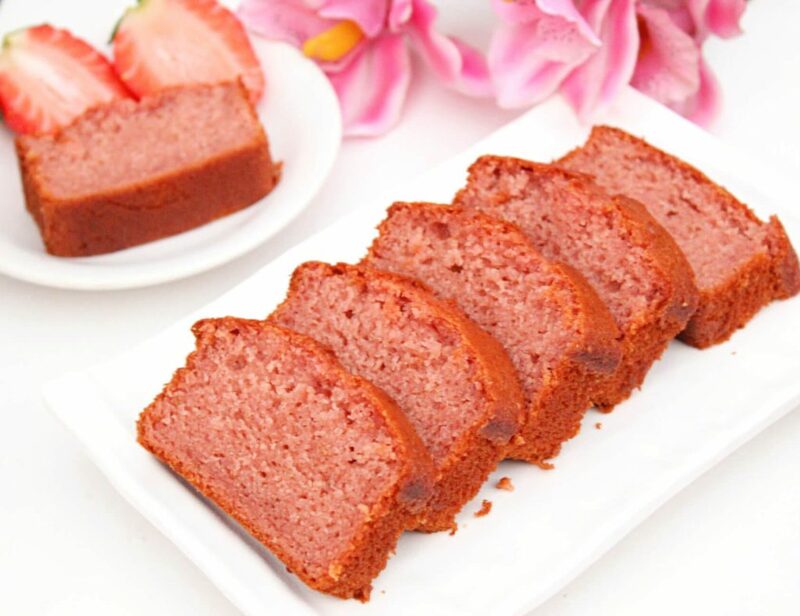 This cake is moist, soft and has an amazing taste of real strawberries. 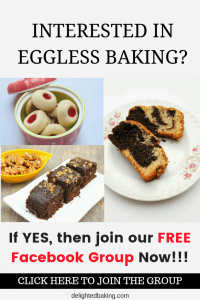 Perfect eggless tea cake Recipe! Strawberry is one of the most used fruits in desserts, cakes, muffins, smoothies etc. It adds a nice fruity taste to the recipes it’s being added to. Also, strawberry is rich in vitamin C and potassium. So, if you get fresh strawberries in your area, do eat them. Put it into smoothies and milkshakes, or add it into fruit salads, you can also make fruit cream using fresh strawberries, or just eat it raw. 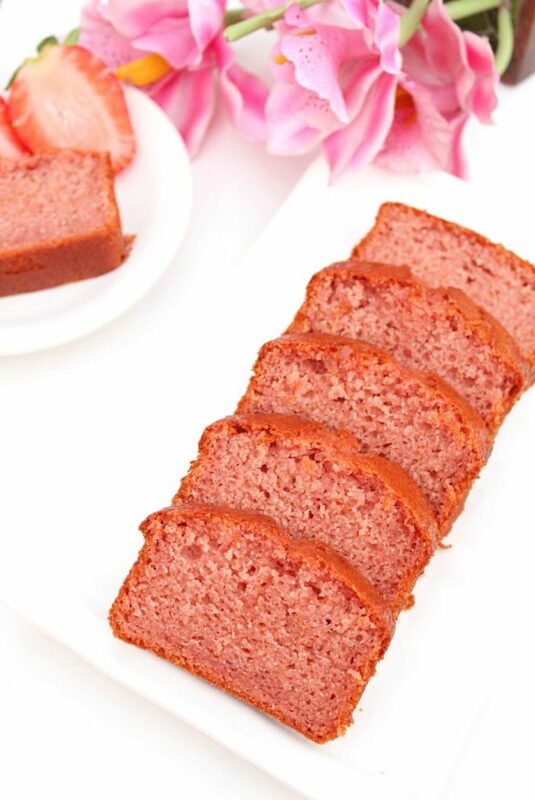 Today, we are talking about eggless strawberry cake. This cake is incredibly moist, soft and full of real strawberries. 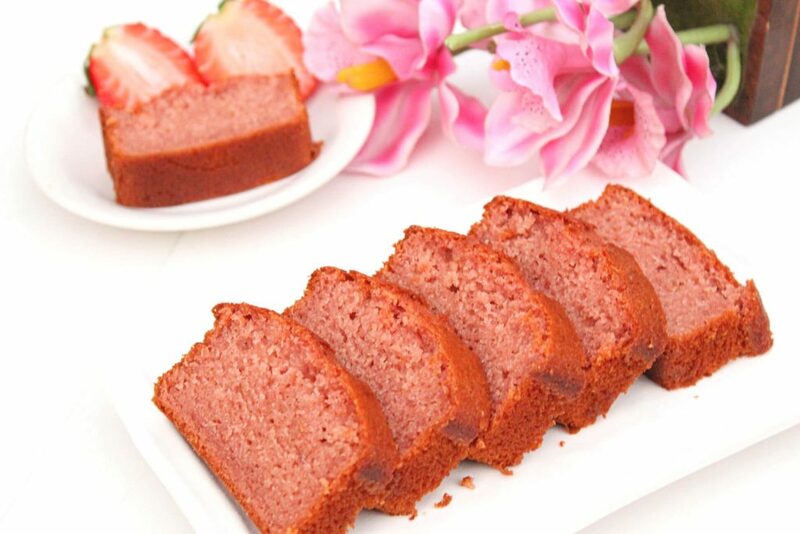 You can also call this cake an eggless strawberry yogurt cake as this recipe uses yogurt. Yogurt is an excellent egg substitute. Yogurt (especially Greek yogurt) is used in a lot of baked recipes. It gives softness to the cake/muffins. It’s also a healthy ingredient and is thus frequently used in baking. 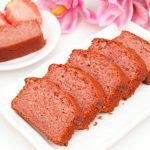 How to make eggless strawberry cake? 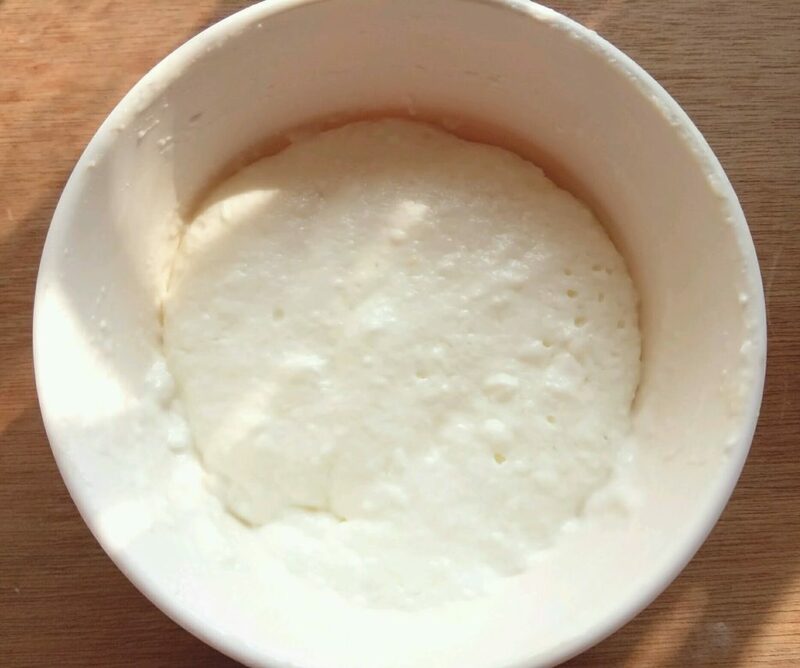 Firstly, measure and add the required amount of yogurt in a small bowl. Add baking soda. Mix well. Cover and leave this for 10 minutes. 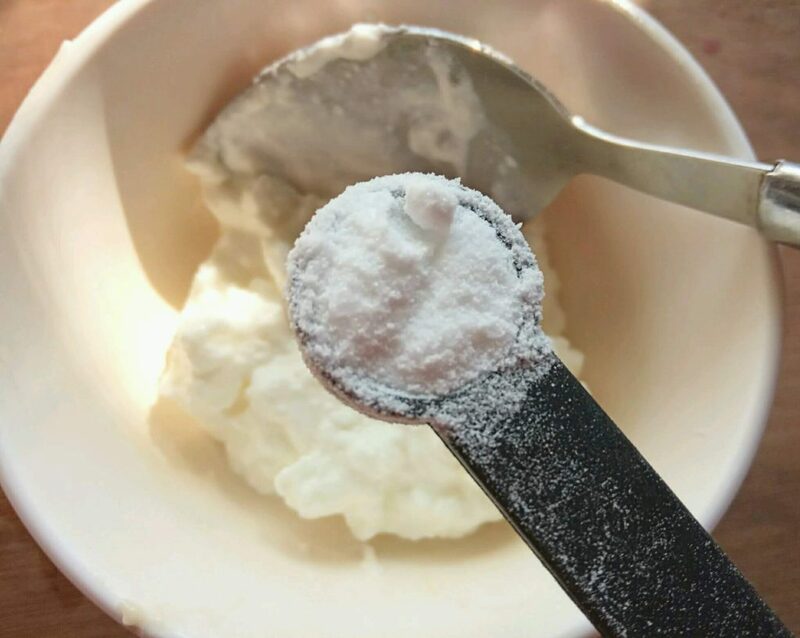 After 10 minutes, you will see that the yogurt mixture would have increased in volume. This is due to the reaction of yogurt and baking soda. This is how we want the yogurt to be, for this cake. Now, in a mixing bowl, add butter and sugar. I’ll recommend you to use powdered sugar for this recipe. If you don’t have powdered sugar, then simply prepare it at home. For this, add the regular granulated sugar into a blender jar and blend till you get a fine powder. Measure this and use. Beat with a hand mixer or a hand whisk. Beat it for 4-5 minutes or till you get a light and creamy texture. Now add yogurt + baking soda mixture and beat for a minute. 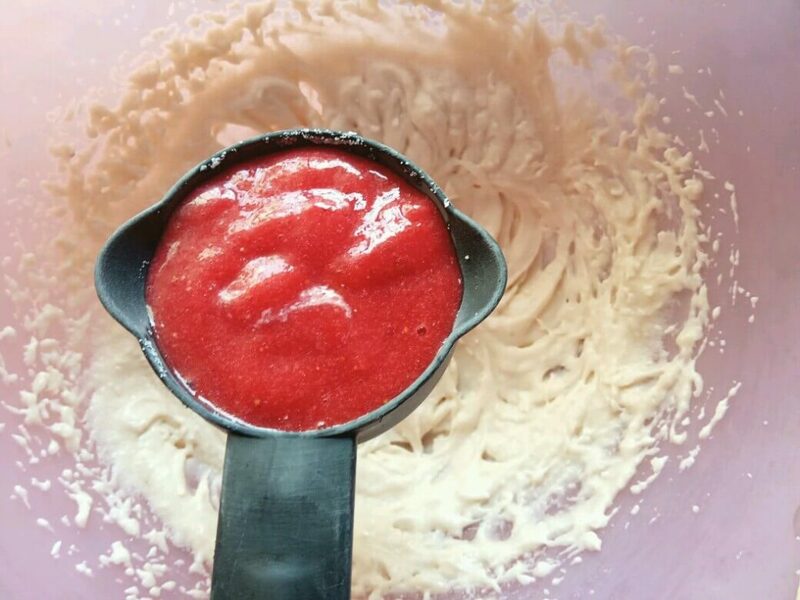 Add around 6-8 strawberries in a blender jar and blend. Measure the strawberry puree. For this recipe, you will need half cup of strawberry puree. Add the prepared strawberry puree into the butter + sugar mixture. Also add vanilla essence. Blend for a minute. 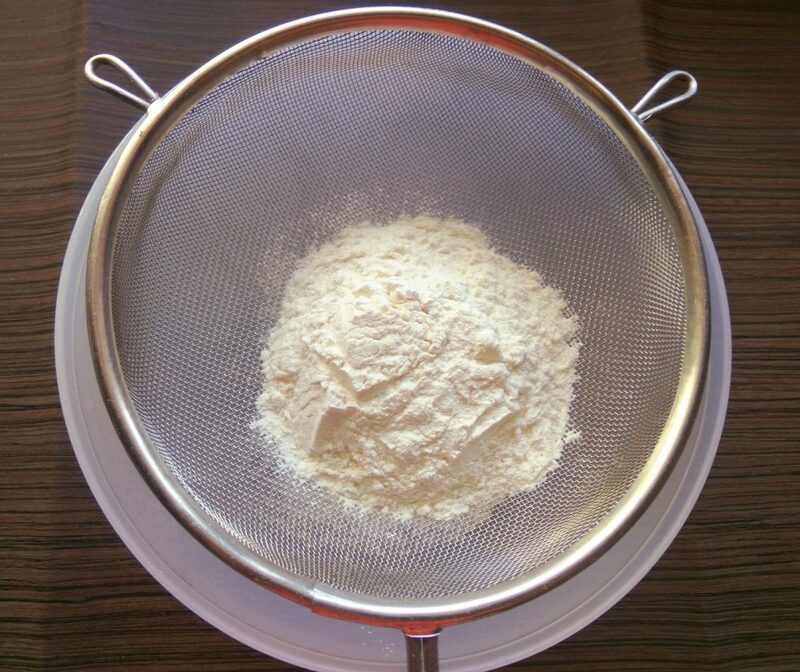 In a separate bowl, put a sieve. Add maida (all purpose flour), cornflour and baking powder. Sieve it nicely. 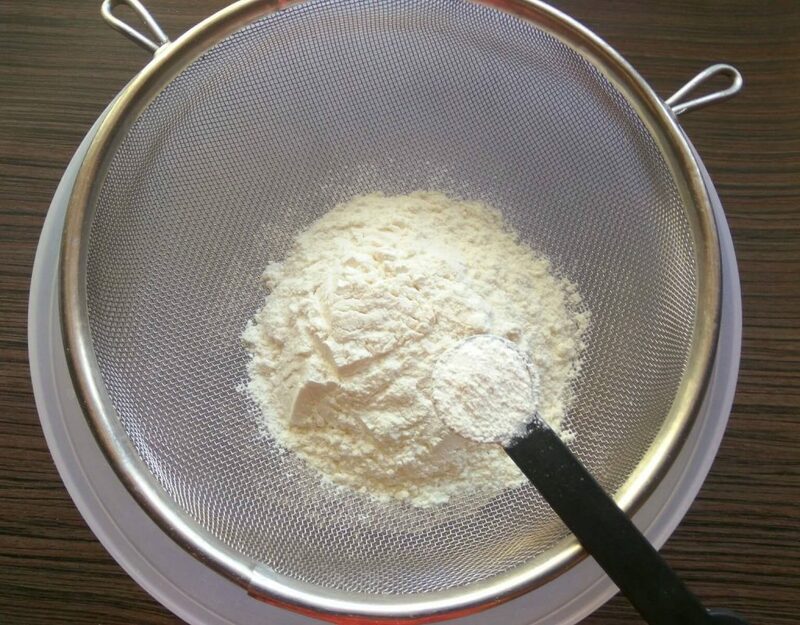 Sieving is an important step. Don’t avoid it! Add dry ingredients into the wet ingredients. Mix with the help of a spatula. Add milk. 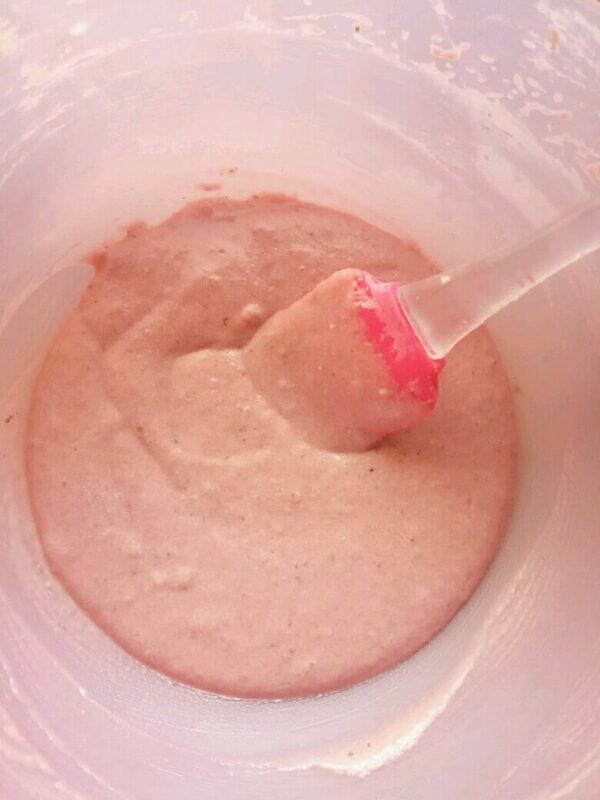 Mix well till you get a smooth cake batter. Don’t over-mix! Add the cake batter into the cake tin. Bake at 180 C /350 F for 30-35 minutes or till a toothpick inserted into the center of the cake comes out clean. So, this is the basic process we will follow for this cake. This strawberry cake can be eaten a as dessert. You can serve this plain or with a dollop of fresh whipped cream with some chopped strawberries. Sounds delicious, right? Do try this recipe. If you have any questions related to the recipe, feel free to ask them in the comments below. 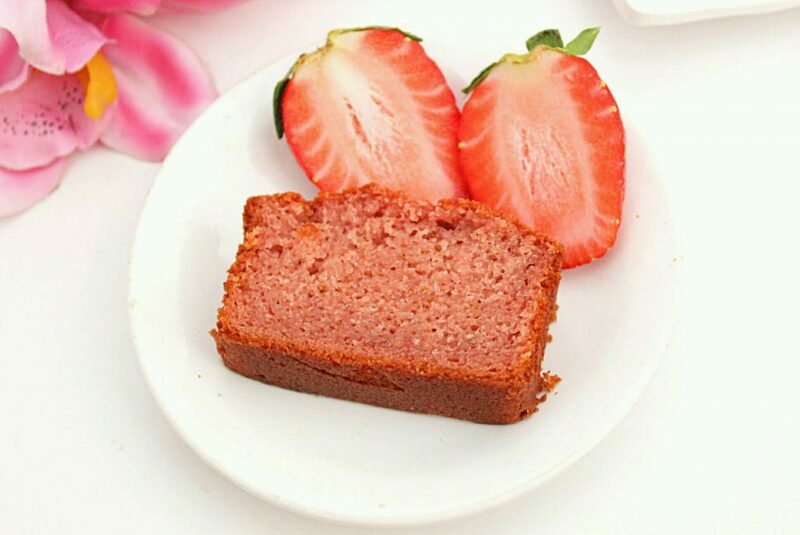 Eggless strawberry cake using fresh strawberries. Serve a slice of this moist cake with a dollop of whipped cream and a few chopped strawberries. Yum! Preheat an oven at 180 C / 350 F for 10 minutes. Grease a cake tin. Take a small bowl. Add yogurt and baking soda. Mix well. 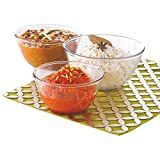 Cover this bowl with a small plate and leave this for 10 minutes. Take a mixing bowl. 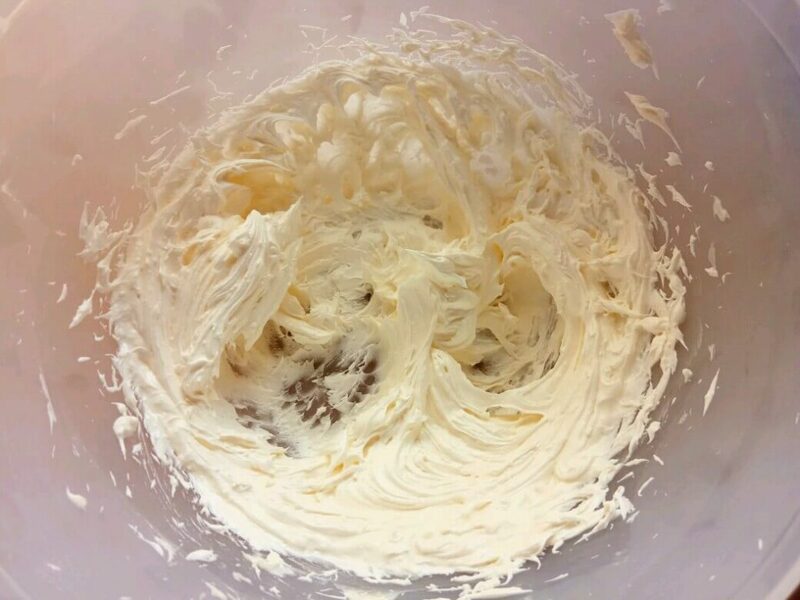 Add butter and sugar and beat using a hand mixer or a hand whisk. You have to beat it till it gets light in color and it looks creamy. This might take around 4-5 minutes. Now add the yogurt + baking soda mixture. Mix well. Add strawberry puree and vanilla essence. Beat for 1 minute. In a separate bowl, put a sieve. Add maida (all purpose flour) and baking powder. Sieve it nicely. Add the dry ingredients into the wet ingredients. Add milk. Mix till you get a smooth cake batter. Add cake batter into the greased cake tin. Hope you like this recipe. You can find more eggless cake, cookie and muffin recipes here. Can i substitute butter wth oil. Hi. Yes, you can substitute. However, the taste and flavour of the cake will change with oil. Love this recipe for spring. Do you think I could pour the batter into muffin tins and make cupcakes out of it instead?